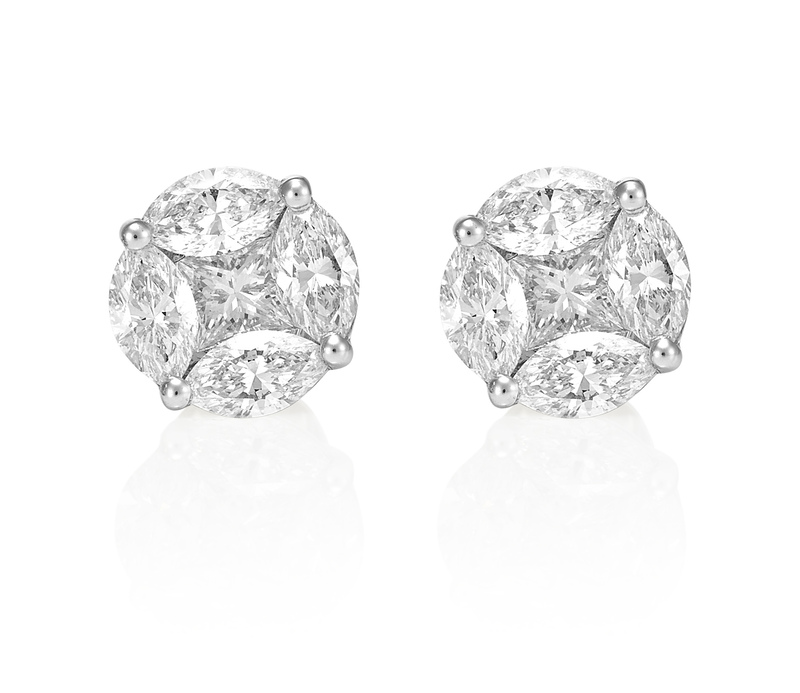 These Diamond Earrings are Purely Opulent. 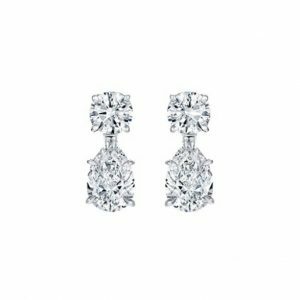 Set in 18K White Gold, the Earrings have been handcrafted with Two Princess Cut Diamonds weighing 0.48ct and Eight Marquise Shape Brilliant Cut Diamonds weighing 1.54ct. 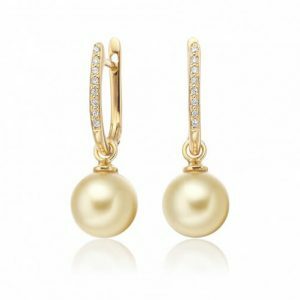 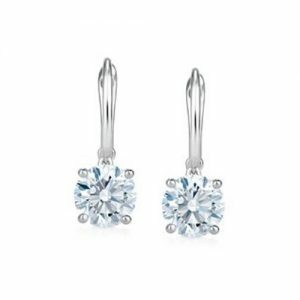 The Design of the Earrings also features a Classic, Four Claw Illusion Setting.